The Office Star Executive Knee Stool has not only been a customer favorite for the last 7 years, but its considered the best for those of us here at Modeets as well. There simply hasn’t been a product that is offered at such an affordable price range that offers the comfort and ergonomics that this chair does. Office Star spared no expense in the creation of, in our opinion, their best product. 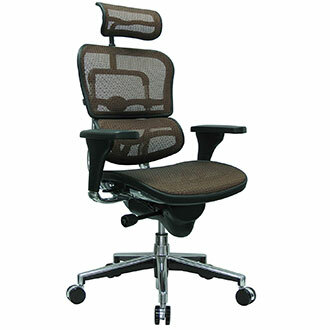 It’s extremely comfortable and easy to get used to, which is why its a favorite for new comers to kneeling office chairs. Continue reading to read the full review of this incredible ergonomic product. What are the highlights of this product? 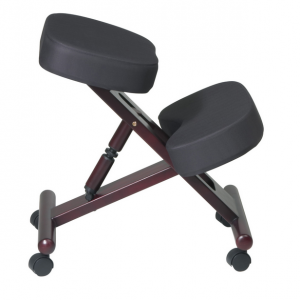 The Office Star Executive Knee Stool is virtually unmatched when it comes to comfort, and this is many because of the materials used in its design. It’s one of the few products of its kind that features memory foam for its padding. Many people, when first switching over to a knee chair, complain about pain in the shins. The pressure from dropping the knees at a 30 degree angle isn’t much, but most of us have never sat this way in our lives. Memory foam is extremely soft and malleable, while being durable at the same time. Whether your large or small in size, or have bony knees, the chair will be able to accommodate you. Most importantly, the padding holds up over time. Many of us here at Modeets have had our Office Stars for over 6 years. This product has you covered. This chair is a top favorite for those working in office settings, or even medical professionals such as dentists. While many knee stools look quite awkward and give off a “therapeutic” vibe, this one looks very professional. The high quality espresso-finished mahogany base is easy to the eye, while being extremely sturdy. If you’re looking for an ergonomic solution that you can bring into the office, then this is the right chose. Considering the value you get from this product, its basically sold at a steal. At the time of this writing, the list price for the product had been dropped down 58% on Amazon.com. Over half off.